QROPS (Qualifying Recognised Overseas Pension Schemes) have no doubt become the solution to numerous problematic expatriate pension worries, as people who are moving or planning to move, abroad often seek a way to pay only the taxes imposed in their new home, and take any benefits that they are entitled to. Benefits associated with a QROP Scheme include the legitimate avoidance of UK tax on pension income, along with reduced inheritance tax liabilities. Also, along with the ability to bypass UK taxes, many popular expatriate destinations have very favourable tax rates on overseas income, so depending on the QROPS jurisdiction and the country of residence in some cases there could be no tax levied at all. Some may suggest that there are risks involved with rogue providers or unstable jurisdictions, but financial experts simply recommended that expats must select the appropriate QROPS for their specific situation and that they understand all the regulations involved, especially those issued by HMRC. By choosing a QROPS with a regulated and trusted provider expats can feel safe that their QROP Scheme meets all the established rules and regulations. Jurisdiction is important, for a stable area will create a safer landscape for the QROPS to be based in, and some areas are better than others. Selecting a QROPS in a jurisdiction which best suits your individual circumstances is of paramount importance. 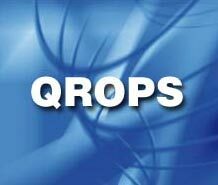 EU residents are encouraged to opt for a QROPS in an EU jurisdiction to maximise the benefits. For example, Guernsey is an excellent choice for British expatriates, as it has recently announced a renewal of its regulations to ensure it completely comes into line with potential future changes imposed by HMRC. For these reasons it is vital to get the correct information and to select a QROPS provider who is fully clued up on all matters to do with offshore pension transfers. There are also other factors the client and provider will need to consider, like how long the expat will overseas- a reputable provider will tell the client that a QROPS offers scant benefit if the move is not of a long term nature. As always, money is always a factor, and a QROPS is of minimal use if a certain amount of money is not invested, again a good provider will be upfront and clear about these factors. For more information and direction towards creating the ultimate retirement scheme, get in touch with a recommended financial adviser.